Here at Itihaas, we’re always embracing new food trends and bringing in more of what our customers want – and the rise of street food is no different. So why is street food becoming so popular? Street food began in Asia, and has since taken over the globe with its intense flavours and a bigger bite for your buck! What’s so great about street food is that you can try new flavours and unusual food pairings that you might not normally see on a menu. They’re also particularly popular in the Summer months, with burgers being a top street food favourite. 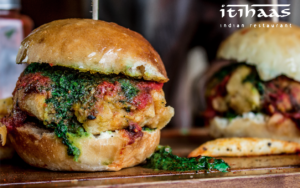 At Itihaas, we’ve incorporated the UK’s love for street food with our exciting lunchtime menu. 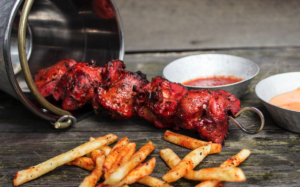 With an Indian twist, we’ve put together a menu that features delicious street food favourites. 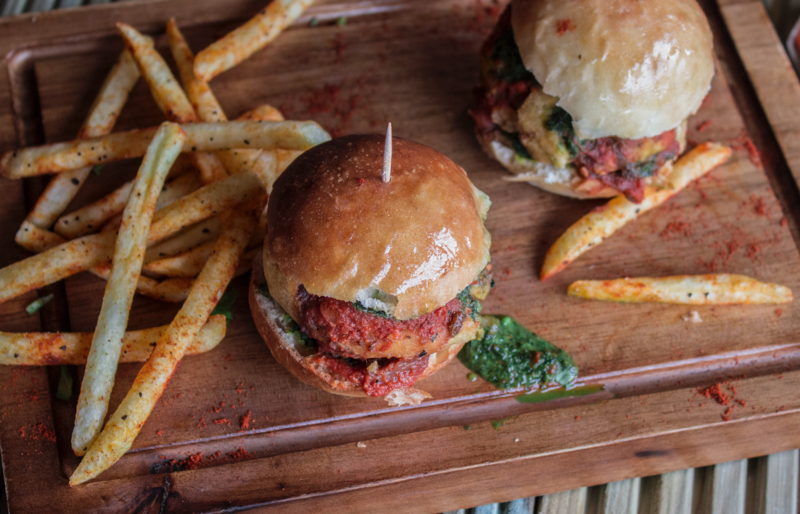 Bombay Burgers and our very own Street Food Thali selection make up – the perfect Summer lunchtime treat. Stop by our Indian Restaurant and try some of our Indian street food favourites – you won’t regret it!